BAHEP President Bob Mitchell, right, welcomed a number of elected officials to the reception featuring an address by Congressman Brian Babin. Joining him are, from left, Mayors Jon Keeney of Taylor Lake Village and Michel Bechtel of Morgan’s Point, State Rep. Dennis Paul, Galveston County Commissioner Ken Clark, Dr. Babin, Seabrook Mayor Glenn Royal and Galveston County Commissioner Ryan Dennard. Brian Freedman of Boeing, from left, visits with Kevin Templin of NASA and Dr. David Kring of the Lunar and Planetary Institute at the BAHEP reception at Lakewood Yacht Club. 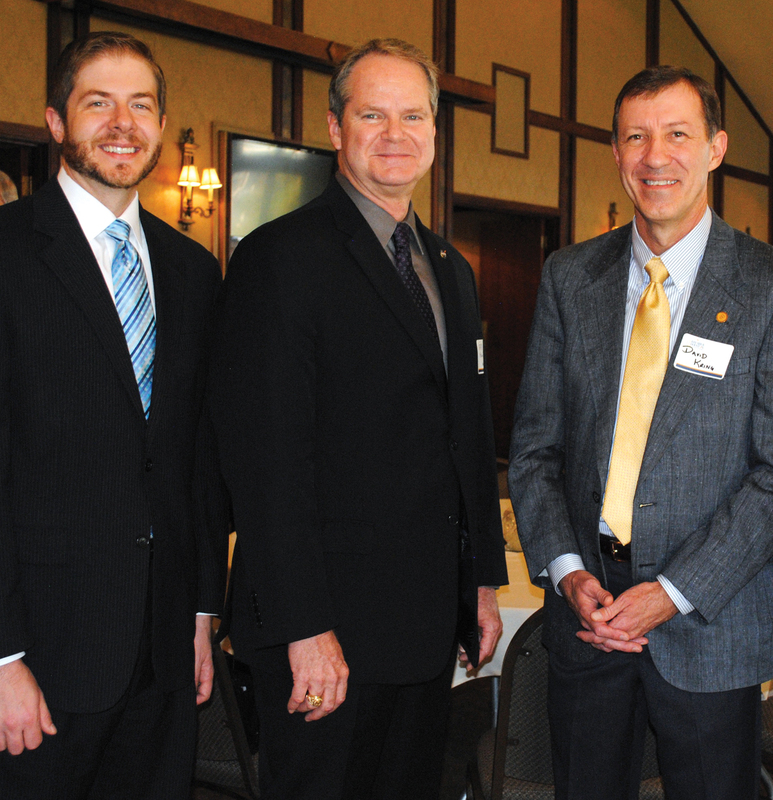 With space so much a part of our lives locally, Congressman Brian Babin decided to update members of Bay Area Houston Economic Partnership on how the industry is faring on Capitol Hill when he addressed them at Lakewood Yacht Club. “I hope you have on your flight suits because you’re going to feel like you’ve been to Mars and back…I am going to give you an update on things at the deep space level, all the way down to sea-level, right here in Houston!” with quite a bit of politicization in the mix. Everything is politicized, he told the crowd at the Oct. 26 gathering. Even the space program has been driven by politics, he said before taking them back to the early days of the Obama administration when the local area took a big hit as the Constellation Program that focused on space exploration was canceled and thousands lost their jobs. “Just a few weeks ago, the president published an (opinion article) saying that he wanted to send humans to Mars. While I appreciate his sentiment, I only wish that eight years ago he had not abandoned that path. For nearly eight years, President Obama’s space policy has lacked specificity – basically we will go somewhere, sometime on a vehicle. . . and while his words now about going to Mars are encouraging, they are about eight years too late. “It is unconscionable how NASA and its industry team have been whipsawed over questionable priorities,” Dr. Babin said, pointing out that the administration had diverted billions of NASA dollars “from exploration and human space flight to global warming and climate change research. Protecting the space agency’s human space flight budget and exploration budget are my priorities, and quite frankly I’m ready to get on with our exploration program,” he added. 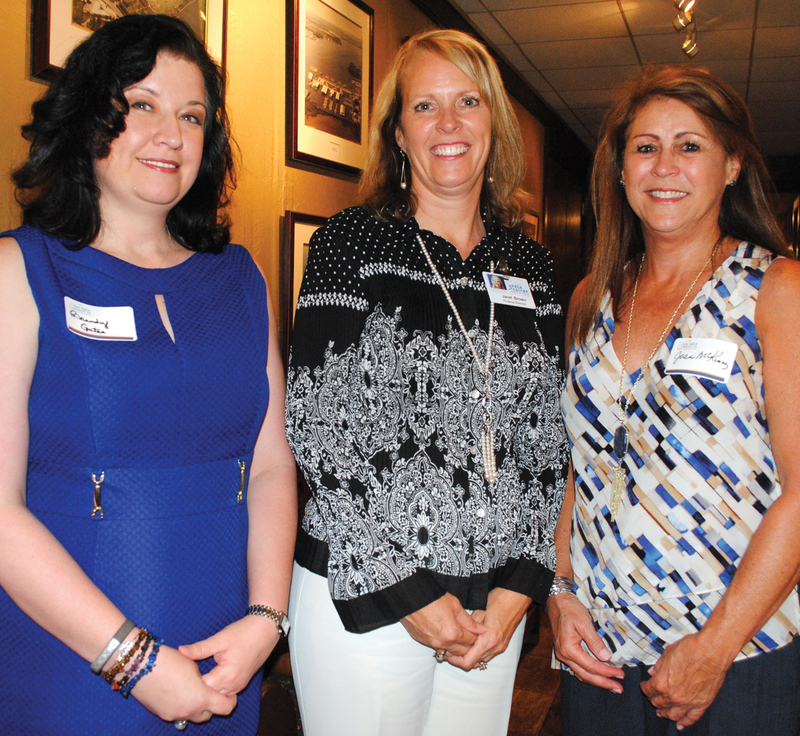 Brandy Gates of UTMB, Janet Brown of Space Center Houston and Joan McKinney of Norman Frede Chevrolet, from left, arrive at Lakewood Yacht Club for the BAHEP reception. Babin said he strongly supports full funding of the space agency’s commercial programs. “It’s in our best interest to have this domestic capability — the sooner the U.S. has safe and reliable commercial transportation to the ISS, the sooner we can end our reliance on the Russians and invest that funding for our initiatives. I want American astronauts flying on American rockets, from American soil as soon as possible,” he told the crowd, going on to praise Boeing’s installation of its first two simulators for training astronauts at the Johnson Space Center for flights aboard the CST-100 Starliner spacecraft. The congressman also updated the audience on the establishment of the Texas Space Congressional Caucus, which is co-chaired by Babin and Rep. John Culberson, along with many members of the Texas congressional delegation. “For decades, in large part due to you all, our region has had a very active space industry advocacy team of local industry leaders, led by BAHEP, with strong support from local, state and federal elected officials to promote the broader interests of NASA and the human space flight programs at the federal and state level. “However, the acute interests of JSC and the local space industry have not been watched as closely as I would like, and we have created this Caucus to bring focus on JSC and the programs that are essential to JSC. I believe a strong JSC leads to a stronger human space flight program and a more robust overall space industry.